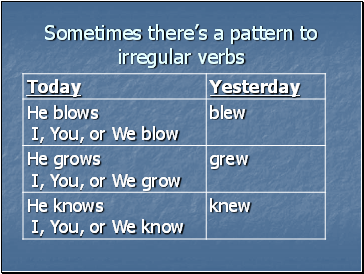 In earlier lessons some irregular verbs were included. 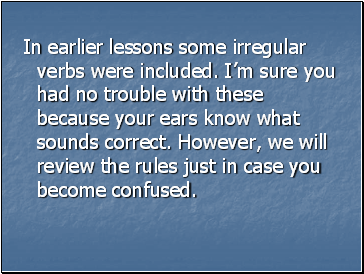 I’m sure you had no trouble with these because your ears know what sounds correct. 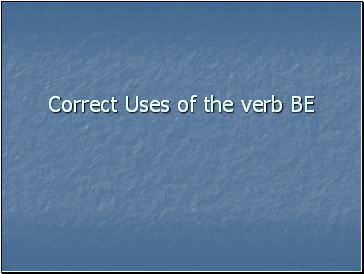 However, we will review the rules just in case you become confused. 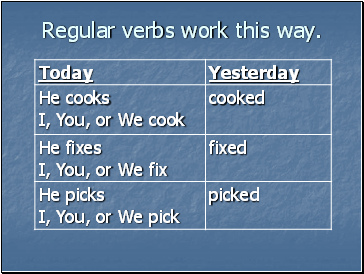 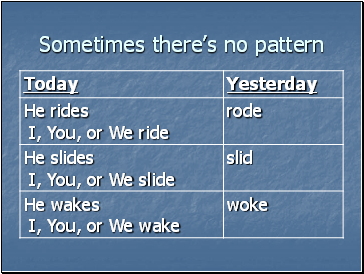 Regular verbs work this way. 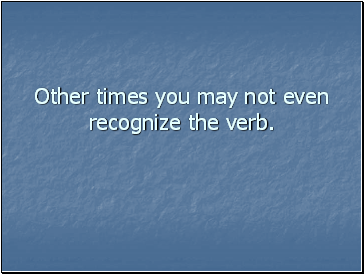 Other times you may not even recognize the verb. 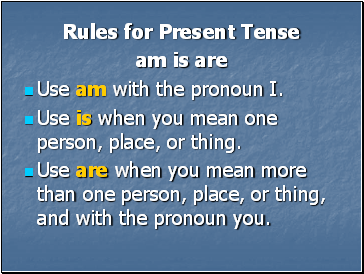 Use am with the pronoun I. 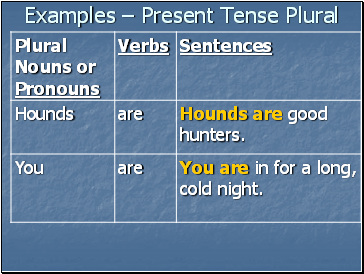 Use is when you mean one person, place, or thing. 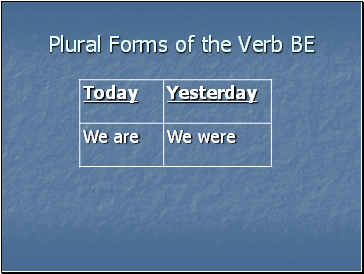 Use are when you mean more than one person, place, or thing, and with the pronoun you. 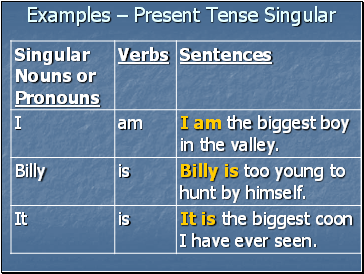 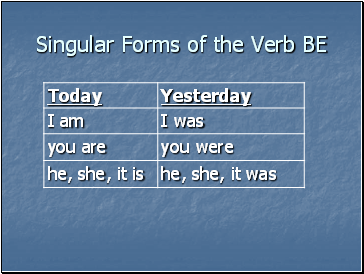 Write the correct present tense form of be (am, is, are) to complete the sentence. 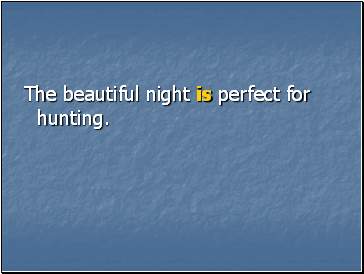 The beautiful night perfect for hunting. 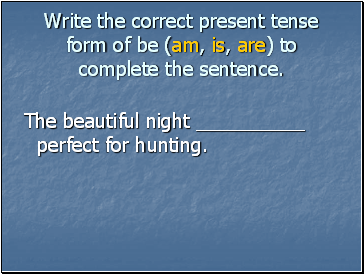 The beautiful night is perfect for hunting. 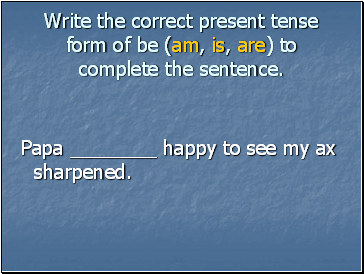 Papa happy to see my ax sharpened. 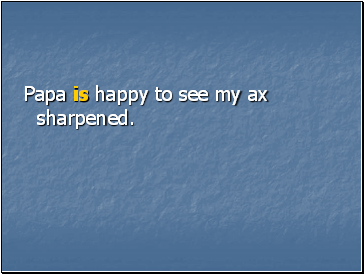 Papa is happy to see my ax sharpened. 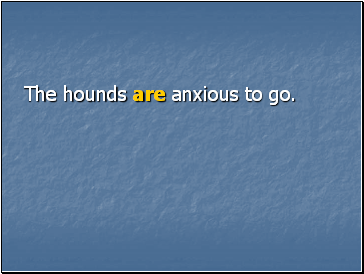 The hounds anxious to go. 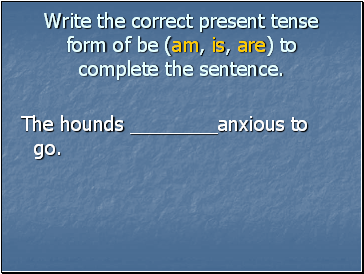 The hounds are anxious to go.